First of all, on the internet there is a fantastic website provided by the Canal Museum that has plenty of old photos and history available. 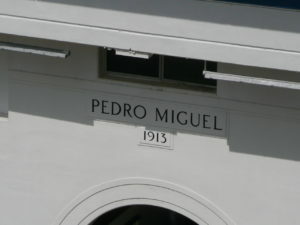 You will have a commentary on board from an employee of the Panama Canal Authority. 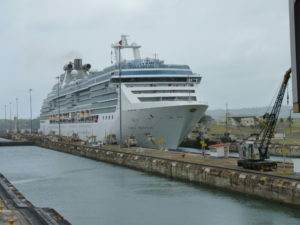 A cruise ship will often stop at Colon and there are a few side-trips you can do from there. 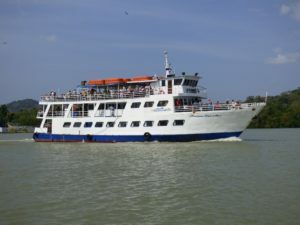 Canal and Bay Tours and Panama Marine Adventures are two companies that offer a partial transit that takes you from Panama City, through the Miraflores and Pedro Miguel locks, then along the Culebra Cut to Gamboa. More information. 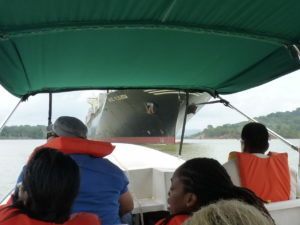 You can do boat tours on the Chagres River and out onto the Gatun Lake to see monkeys and other animals, not to mention get up close and personal with some big ships. The Resort is also affiliated with the APPC Animal Rescue center. 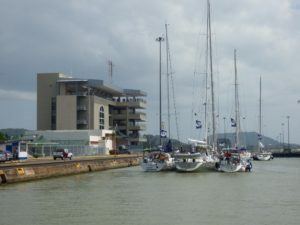 The original premise of this website was to describe how to transit the canal in your own yacht. There is a website that connects linehandlers with Captains so you could help out with a full transit. 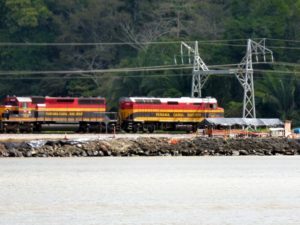 The Panama Canal Railway Company offers a train service from Panama City to Colon and back, with the route closely following the Canal. 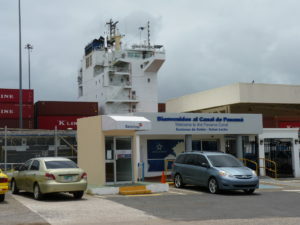 The primary visitor center that enables you to get close to ships passing through the Canal, with a commentary to explain what you are seeing. 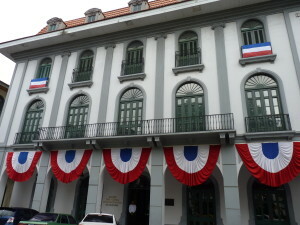 The museum offers extensive displays, and there is a restaurant right next to the action. At the end of 2018 an IMAX cinema opened there. 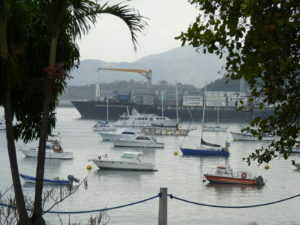 There is no visitor center here, but you can park on the side of the road very close to the locks and watch the ships. Only really a viewing platform with a few relics of earlier days, but it is the closest you will get to the big ships in the locks, and there is usually a commentary explaining what you are seeing. 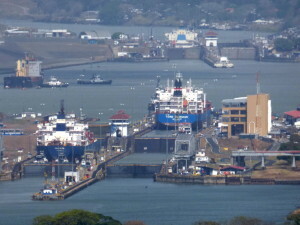 Unfortunately, since the new locks opened, this viewing center is only available to VIP tours such as from a cruise ship. 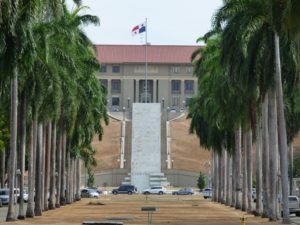 The original headquarters of the ACP Administration, this building contains four magnificent murals depicting the construction of the Canal. 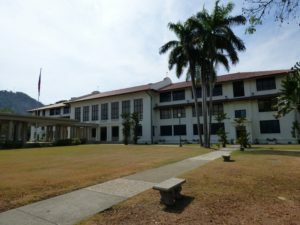 A little known display of memorabilia and photos from the early days of the Canal are hiding in the former Balboa High School – now the main training school for the ACP. 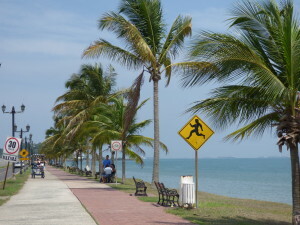 The Causeway was constructed as a breakwater for the Panama Canal entrance using rocks excavated from the Culebra Cut. You can walk or cycle along the three miles of track, right next to the big ships. Provides a birds-eye view of Miraflores and Pedro Miguel Locks, and also across Panama City and Casco Antiguo. 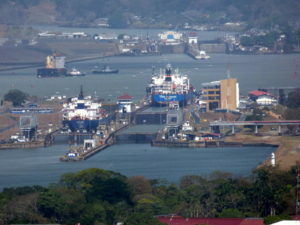 Several trails with probable wildlife sightings, and from the top of the hill you have a great view of the Canal, including Miraflores and Pedro Miguel locks. 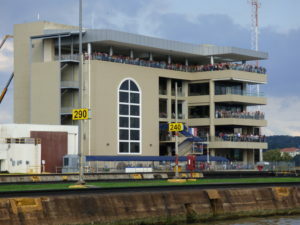 An open-air bar right on the banks of the Canal near the Bridge of the Americas, where you can watch the ships pass by behind the moored yachts.